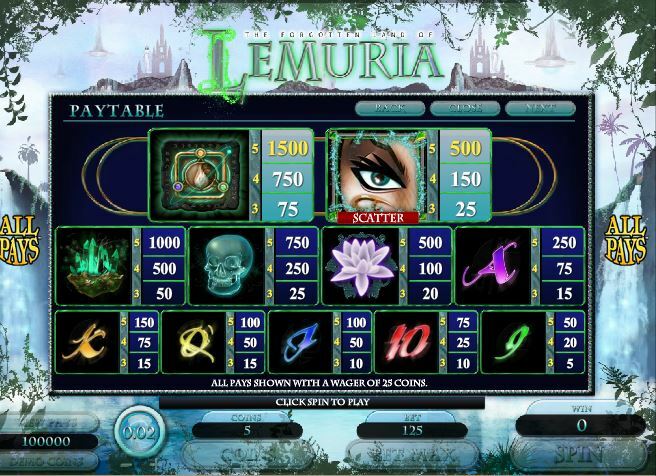 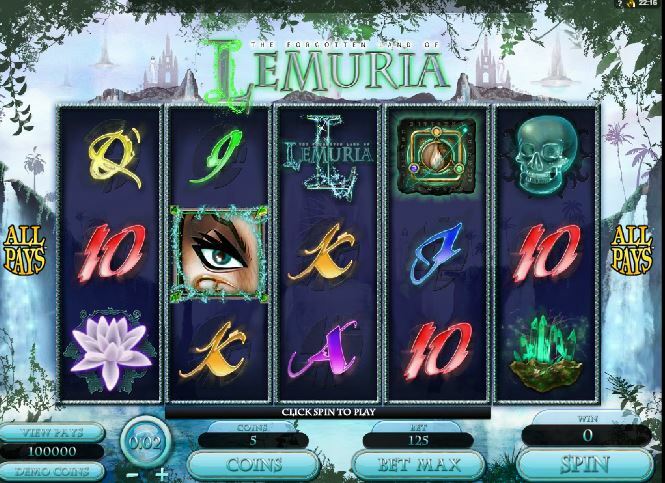 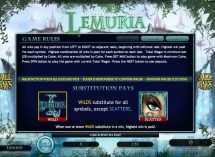 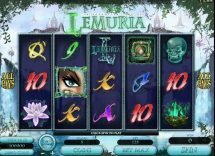 The Forgotten Land of Lemuria slot like Mystique Grove slot is offered by Microgaming but originally developed by Genesis Gaming. 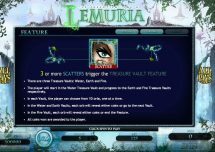 You get 5 reels with 243 ways and the theme is a mythical journey with fantasy symbols of which there is a 1x Wild on all reels and of course scatters. 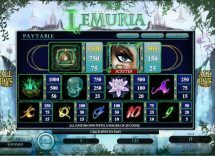 These take the form of a lady’s eye and 3 anywhere triggers the bonus. 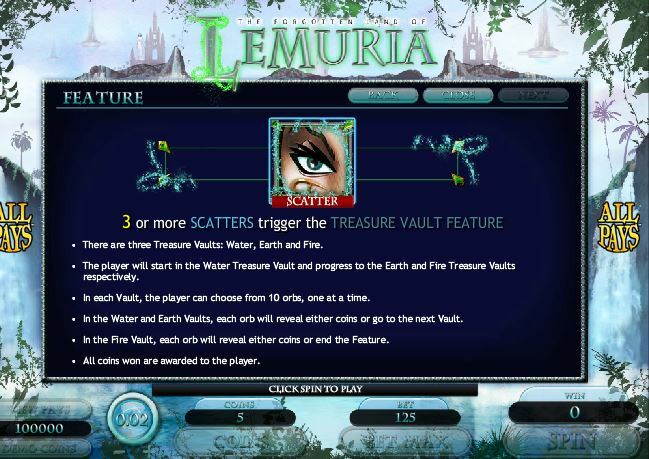 There are no free games but a pick-me feature with 2 levels offering cash prizes starting in the Water Vault and as there’s no stop here you then pick from the Earth And Fire vault for more coins until you do hit the stop. 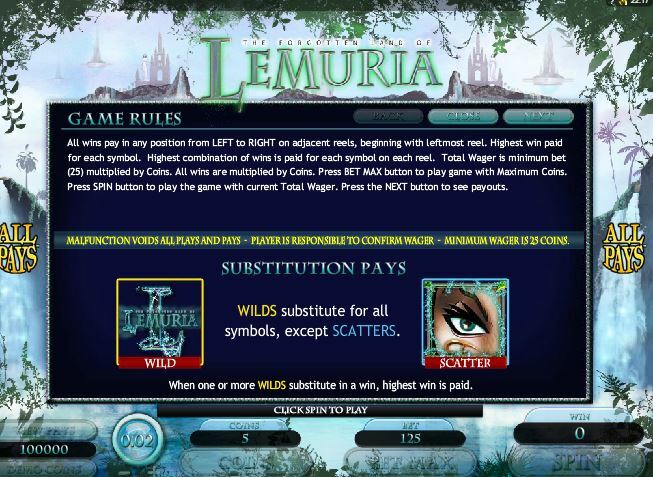 RTP is 95.26%.